We all waited for 2013 to come to see what will happen. 2012 wasn’t as good as we all expected and most of us started to wait for the new year 2013 to come and here we go! We are now in 2013 and let me write you about the summary of 12 horoscopes and what will each horoscope experience and live during 2013. For Aries, it will be a nice new year. 2013 will be adventurous for Aries. Lots of fun, lots of happy memories but will they be permanent? If you behave decent, yes they can be permanent, but if you just search for adventure of course nothing you live can be permanent. About career, you will catch success but as I mentioned again I’m saying that if you cannot focus on your career, your career life will not have permanent success just like your personal life. Both in your career and personal life, try to focus on what you really want and what is really good for you, so you can have a good year all through 2013. Taurus will be busy with business and career throughout 2013. Some Taurus people preferred to marry before 2012 ended and they also had child, the rest of Taurus will go on focusing on their career and they will lead a healthy life full of sports in 2013. Taurus will be on diet and they also will be doing sports periodically to keep fit. They like family life and they will also spend a lot of time with their family and family members. 2013 will be a good year for male Taurus people but for female Taurus, it may not be that happy especially Taurus females have relationship and marriage problems during 2013 because of jealousy, I mean disloyalty and infidelity issues of their partners will cause some small problems. Gemini will try to marry during 2013 or at leats this year they will try to create a long term relationship which may lead to marriage. Gemini is known to be flirty and unfortunately unreliable in such issues like relationship or marriage. But they also want to create a long term relationship as well on the other hand. So in 2013 some Gemini people will try to form a long term permanent relationship with only one person. The others will of course go on flirting and nothing permanent. They will try to lose extra weight in 2013 too. Because they gained extra weight during 2012 because of eating too much. They were in stres in 2012, they will try to be less stressed in this new year 2013. Cancer will try to be focusing on career in 2013 instead of focusing on fraud events. Cancer females will try to marry this year in 2013 but it is not the same for Cancer males. Cancer males will stay single during 2013 too. But female Cancers had already started planning their marriages in the first days of 2013 and they want to create a family of their own this year. Cancers feeling stress for the recent years due to both their personal life and career life. But this year they will feel a little bit better in 2013 and it will be a more peaceful year for Cancer people. Leo, the single Leo people will not be as happy as they wish in 2013. This new year will be full of relationship related stress and problems but if they don’t take everything so seriously, they can be without stress. But for the married Leos, their marriages will go on with no problem and their family life will be happy during 2013. Married Leo people will be focusing on their children’s education and the year will go on peacefully for them. 2013 can be a god year to go on a diet for Leo, this will be a good year to lose extra weight they gained during 2012. Virgo is busy with their family and kids in the recent years. In 2013, again they will be busy with their families and such subjects. Some Virgo people married in 2012 and in 2013 they will try to have a baby and be parents. They like family life and they find peace in their own families. Virgo people may look a little cold but inside they are not so cold at all. 2013 is a good year for Virgos to be working more on their career life. Most of Virgo people will be successful in their careers in this new year, 2013. Libra had some very bad times in the recent years. These events Libra females and males themsleves created, so in this new year 2013, if they become more careful and more respectful to others, their 2013 can go on much better. But as I can say their 2013 will not be so different than their 2012 or 2011 until they try to change their way of thinking and behaving to other people. If they cannot make the essential changes in their personalities, their whole life will go on like their previous years. I’m not only talking about 2013, this comment of me includes their whole life. Libras known to be unbalanced and bizarre, so they can only be get on well with other unbalanced and bizarre people similar to them. Scorpio will be stressed throughout 2013 as they were in 2012 too. They will be working on their career to forget about their problems. Some Scorpios will divorce while some of them will marry. Just be careful and you will be feeling good during 2013. This new year may not be perfect for most of Scorpio people but what I is that if you stay positive and behave other people kind, so you can get the results of this as you behave others. If you go on becoming a rude person, of course you will be behaved inthe same way. Some health issues can occur during in 2013 for Scorpio, and periodic check ups at hospital can be helpful. Sagittarius will focus on career n 2013 and they will be having a more successful year when compared to 2011 or 2012. So for Sagittarius people, 2013 is a career and success year. But the financial return of this focusing on career can be a little late but the coming of this financial success will be permanent. So don’t worry if you work too much and earn little at the beginning but if you go on working you will most probably reach a good financial success at the end. You should be on diet during 2013, why because Jupiter brought some weight to some of you during 2012. So be on diet and fit during 2013. This new year is also finding peace and happiness for Sagittarius people. 2013 is a very happy year, so enjoy the new year 2013. Sagittarius will be spending good, happy, peaceful times with their family in 2013. 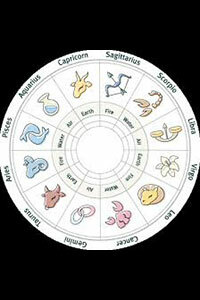 Capricorn is another horoscope that will focus on career throught this new year 2013. Capricorn is always a career personnot only this year but all the time, they like to work and be successful. Also for Capricorn, family life is important and they like to spend good times with their own family. 2013 is another new year for Capricorn people to spend nice time with their own families. Be on diet this year if you are a Capricorn, so you can be fit during 2013. Single Capricorn likes to flirt too but be careful not to make mistakes in your romantic life in 2013, just wanted to remind this. Capricorn people are serious and decent people and they are social in life in general. They are successful people and they will be successful and happy during 2013 too. Aquarius, for you 2013 is not such a good year. I know that 2011 and 2012 wasn’t good forAquarius people and 2013 will not be a good year either. I mean both in your personal life and in your career life you can have some difficulties but depending on your way of looking at life, you can still try to solve these problems and turn them into small problems from being big matters. Even if your work life and personal life isn’t good in this new year 2013, you can try to think positive to feel better. This is good for your mental health as well. Not to be negative all the time is good, try to think good for other people around you including your friends or your neighbors or your colleagues. Relationships and marriages can most probably end for most Aquarius people in 2013, it is not a must be couple all the time. You can be happy on your own too and find happiness in yourself. Try this in 2013, why not. Pisces will be more successful this year in 2013 by working too much and this will also bring them financial gain and success during the new year 2013. Pisces is another career horoscope and they like to work, this will go on the same in 2013 too. Pisces is more career focused than romantic, don’t wait a Pisces to be romantic when they are more career oriented people. They like to be with career oriented people around them as well. In 2013 Pisces will work and personal life is ok too but not relationships or marriages aren’t as good as their work life in this year 2013. Pisces people will be spending a lot of time with their families and this will be a peaceful, happy solution for their daily life. They just must do some sports to keep fit during 2013 and they will be on nature more to keep fit by walking or running.